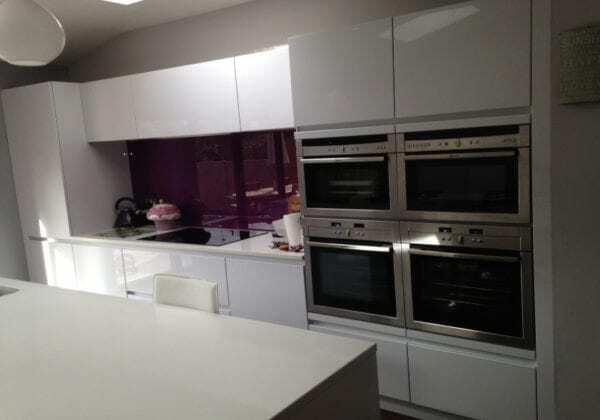 Polar white high gloss lacquer units from our Next125 range. Absolute blanc composite worktops 30mm with double pencil edges. 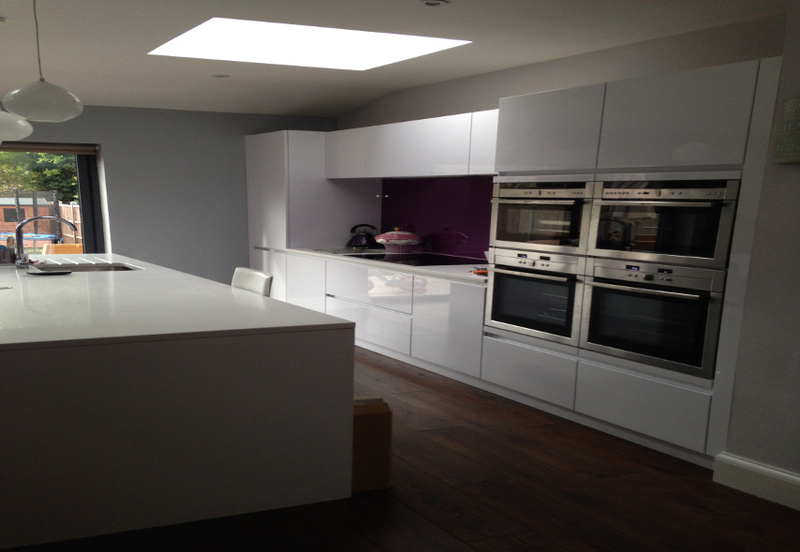 The island houses a freezer and dishwasher on one side with shelved base units on the other. This is a Lacquer kitchen review from a happy Shelly Porter.